The Acquirer’s Multiple is an easy-to-read account of deep value investing. The book shows how investors Warren Buffett, Carl Icahn, David Einhorn and Dan Loeb got started and how they do it. It combines engaging stories with research and data to show how you can do it too. Written by an active value investor, The Acquirer’s Multiple provides an insider’s view on deep value investing. Fortunes in Special Situations in the Stock Market: The Authorized Edition: Forgotten for over 50 years, Schiller is the inventor of special situations investing for obtaining nearly riskless stock profits. Most of his books have been unknown and out of print until now. His life’s work is monumental, on a scale with Graham and Buffett, and applicable to any time – for those willing to put in the hours. Includes case studies of live situations today. Schiller (1901-1994) left Dartmouth and landed on Wall Street in 1922, just in time to watch shady practices and heedless risk end in the crash and Great Depression. This experience led him to choose his life’s work: practice and study of special situations, designed to avoid risk for clients. Beginning in the 1930s, he invented new and refined existing special situations so the investor could experience almost riskless gains and avoid the devastation of the Great Depression again. 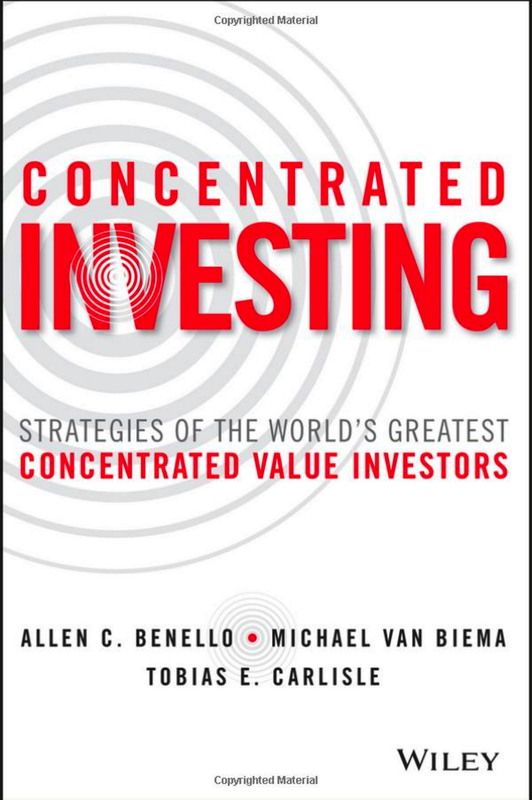 This is a book about deep value, the reason activist investors and other contrarians seek out losing companies. Deep value is investment triumph disguised as business disaster. It is a simple, but counterintuitive idea: Under the right conditions, losing stocks—those in crisis, with apparently failing businesses, and uncertain futures—offer unusually favorable investment prospects. This is a philosophy that runs counter to the received wisdom of the market. Many investors believe that a good business and a good investment are the same thing. Many value investors, inspired by Warren Buffett’s example, believe that a good, undervalued business is the best investment. The research offers a contradictory view. This book is an investigation of the evidence, and the conditions under which losing stocks become asymmetric opportunities, with limited downside, and enormous upside. It is intended to be a practical guide that canvases the academic and industry research into theories of intrinsic value, management’s influence on that value, and the impact of attempts to unseat management on both market price and value. As a portfolio, deeply undervalued companies with the conditions in place for activism offer asymmetric, market-beating returns. Activists exploit this property by taking large minority stakes these stocks and then agitating for change. What better platform than a well-publicized proxy fight and tender offer to highlight mismanagement and underexploited intrinsic value, and induce either a voluntary restructuring or takeover by a bigger player in the same industry? We’ll see how activist investing can be understood as a form of arbitrage. Activists invest in poorly performing, undervalued firms with underexploited intrinsic value. By remedying the deficiency, or moving the company’s intrinsic value closer to its full potential, and eliminating the market price discount in the process, they capture a premium that represents both the improvement in the intrinsic value, and the removal of the market price discount. We scrutinize the returns to activism to determine the extent to which they are due to an improvement in intrinsic value, or simply the returns to picking deeply undervalued stocks. Finally, we examine valuation metrics used to identify the characteristics that typically attract activists—undervaluation, large cash holdings, and low payout ratios. These metrics favor companies with so-called lazy balance sheets and hidden or unfulfilled potential due to inappropriate capitalization. Activists target these undervalued, cash-rich companies, seeking to improve the intrinsic value and close the market price discount by reducing excess cash through increased payout ratios. We analyze the returns to these metrics, and apply them to two real world examples of activism. The power of these metrics is that they identify good candidates for activist attention, and if no activist emerges to improve the unexploited intrinsic value, other corrective forces act on the market price to generate excellent returns in the meantime. Each chapter tells a different story about a characteristic of deep value investing, seeking to demonstrate a genuinely counterintuitive insight.Through these stories, it explores several ideas demonstrating that deeply undervalued stocks provide an enormous tail wind to investors, generating outsized returns whether they are subject to activist attention or not. It begins with former arbitrageur, and option trader Carl Icahn. An avowed Graham-and-Dodd investor, Icahn understood early the advantage of owning equities as apparently appetizing as poison. He took Benjamin Graham’s investment philosophy and used it to pursue deeply undervalued positions offering asymmetric returns where he could control his own destiny. Quantitative Value: A Practitioner’s Guide to Automating Intelligent Investment and Eliminating Behavioral Errors (hardcover, 288 pages, Wiley Finance, 2012). In Quantitative Value, we make the case for quantitative value investment in stock selection and portfolio construction. Our rationale is that quantitative value investing assists us to defend against our own behavioral errors, and exploit the errors made by others. We examine in detail industry and academic research into a variety of fundamental value investing methods,and simple quantitative value investment strategies. We then independently backtest each method, and strategy, and combine the best into a new quantitative value investment model. Which signals sent by other market participants identify stocks primed for performance? We look at the impact of buybacks,insider purchases, short selling, and buying and selling from institutional investment managers and activists. We examine the best way to structure our findings into a cohesive strategy, and then backtest the resulting quantitative value model. We compare the performance of our quantitative value model with the performance of several well-known value investing mutual funds. The book can be purchased from Wiley Finance, Amazon, or Barnes and Noble. Tobias contributed the “About Liquidation Value Investing” section to Introduction to Corporate Finance (Third Edition, Wiley, March 2013) by Laurence Booth and Sean Cleary.